CONGRATULATIONS to Tim Adleman on making his MLB Debut on Sunday, May 1, 2016!!! Tim has participated in the Velocity Plus Program the past three seasons and after a lot of hard work and dedication he has now achieved his dream of pitching in a Major League Baseball game! 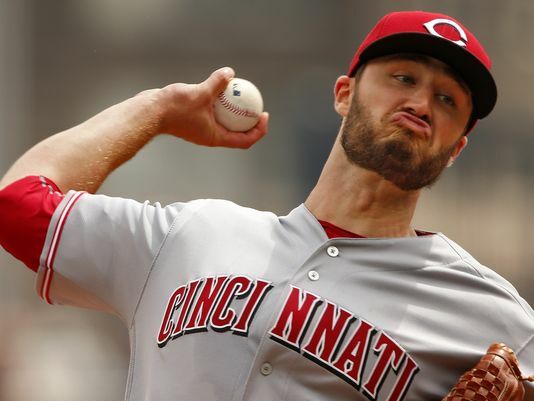 Adleman pitched six-plus innings, allowing two runs on three hits with two walks and six strikeouts, as the Reds beat the Pirates 6-5 in 11 innings, breaking a six-game losing streak. He also saw an increase in his velocity, from 88 to 90 mph when he was in independent ball to throwing 94 mph in his stint against the Giants. Originally designed as a shoulder prehab program, the Velocity Plus Program was designed with one goal in mind, continued ARM HEALTH! The bi-product of such emphasis on functional shoulder health and strength training has been the revolutionary increases in throwing velocities; known today as the Velocity Plus Arm Care Program, where ARM CARE yields RESULTS! Congratulations to ALL Our Latest Pros!! Congratulations to all 50+ Velocity Plus Arm Care participants who were selected in this years 2016 MLB Draft. Since starting the tally a couple season's ago, the Velocity Plus Arm Care program has been a part of the training regimens of over two hundred athletes who have went on to hear their name's called in early June (at Major League Baseball's annual draft). A VERY special congrats to LONGTIME participants, Drew Harrington and Zach Burdi! Theses two men have been participating in the Velocity Plus Arm Care (V+AC) program every year since they were each only kids in high school. 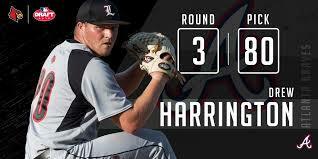 Harrington, the Atlanta Braves third rounder (the 80th overall pick), is from the Elizabethtown, KY - hometown of our V+AC headquarters. We've had the pleasure of working with Drew prior to the V+AC program's existence, when his baseball career first began as a youth player. In the fall of 2010, the then six foot high 70's southpaw, became one of the FIRST 50 athletes EVER to participate in our beloved V+AC program. Drew has continued to see success while participating in the V+AC program EVERY YEAR since (SIX consecutive years). Now a low 90's lefty who touches 94-95mph, Drew Harrington, is a poster child for what hard work can help someone achieve! Zack Burdi began his V+AC journey in 2011, the summer before his junior year of high school. In his first season of the V+AC program, the then 6'2” Burdi's velocity jumped from low and mid 80's to high 80's and low 90's. 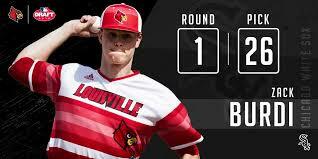 Like Harrington, Zack also attended the University of Louisville where he too continued the V+AC program with unbelievable increases in velocity. The flame throwing righty now sits in the HIGH 90's, consistently hitting 100 mph and at times touches 101 and 102 mph. This summer Zack became the 26th overall pick when he was drafted in the first round by the Chicago White Sox in this years 2016 MLB Draft. BURLINGTON, N.C.—When the Royals first approached Niklas Stephenson about trying weighted ball workouts last fall, he was a little hesitant. But he didn’t have a whole lot to lose. The righthander was barely hanging on to a spot in pro ball. He had gone undrafted out of Sunset High in Encitas, Calif., before signing with the Royals as a nondrafted free agent in July 2012. He’d posted a 7.47 ERA in two summers with the Royals’ Rookie-ball teams as a reliever. Lefthanders had hit an even .500 (20-for-40) against him. With an 83-86 mph fastball, not much of a curveball and even less of a changeup, it would have been fair to wonder what a scout ever saw in Stephenson. It was even more remarkable that the Royals were asking him to come back for a third pro season. So weighted ball workouts? Why not. “At first I was real skeptical. I’m not skeptical any more,” Stephenson said. Throwing a heavier-than-normal ball helped Steve Delabar go from the independent leagues to the Mariners’ and then the Blue Jays’ bullpen. It’s now taken Stephenson from afterthought to legitimate prospect. 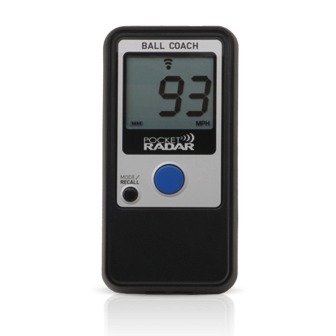 NEW - Pocket Radar "Ball Coach"
Guaranteed to accurately collect 2lb and 2oz velocities! The NEW Pocket Radar Ball Coach. After thousands of Velocity evaluations this is the first consumer grade radar we have found to accurately and consistently capture both 2lb and 2oz velocities. After hundreds of side-by-side tests along side professional grade Jugs and Stalker radar guns the Ball coach has proven extremely accurate. Whether evaluating a 9 year old, or 19 year old, we are confident that the Ball Coach won't disappoint. Bundle it with the Velocity Program and save! Buy Now! Learn how the Velocity Plus Arm Care Program changed the life of MLB All-Star Steve Delabar. Learn more about the Velocity Plus Arm Care Program and what it could do for you. Learn more about the people and research behind the Velocity Plus Arm Care Program.